Dawn breaks at Anza-Borrego Desert State Park. The canyons, badlands, and palm trees glow with the morning warmth, but the sun isn’t the only gold lighting up the landscape. 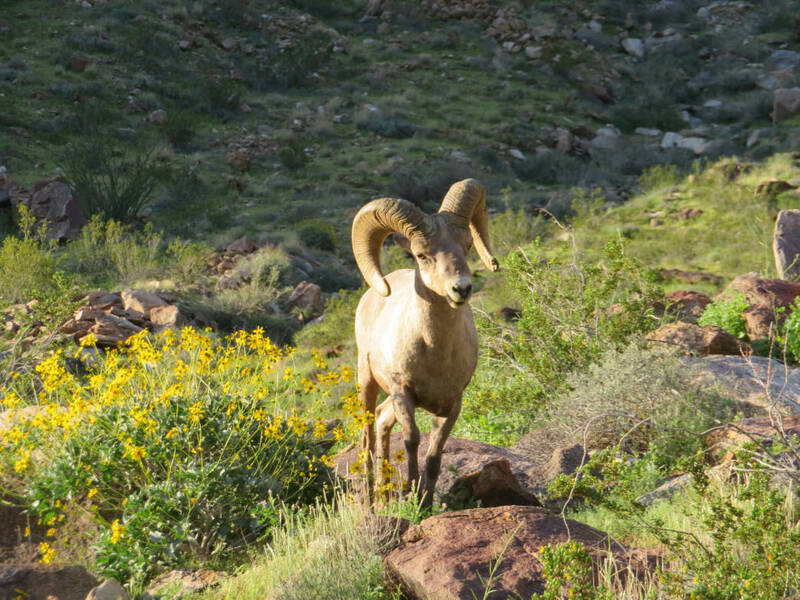 At the mouth of Borrego Palm Canyon, bighorn sheep stand in fields of yellow desert dandelions, nibbling on blossoms. Along the roads leading into the park, soft purple sand verbenas spread out like a carpet below the mountains. It’s official; a super bloom has arrived in the desert. This year’s colorful explosion of wildflowers in Anza-Borrego has brought an influx of hikers to a parched patch of the Colorado Desert that often sees more roadrunners and lizards than it does people. At about 600,000 acres, Anza-Borrego is the largest state park in California. 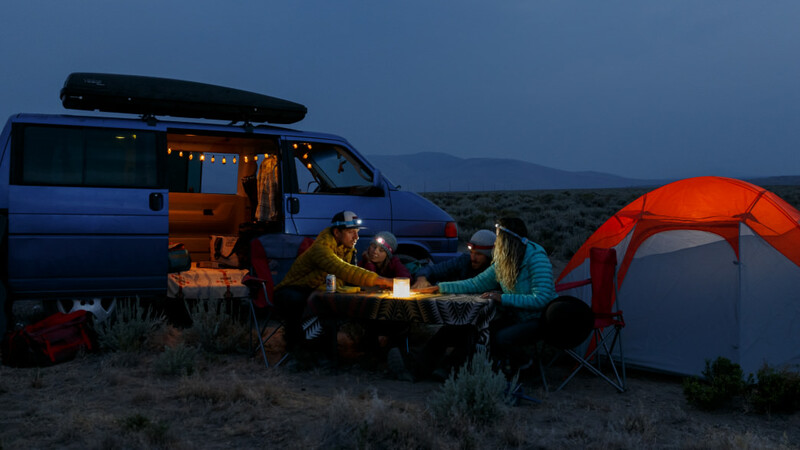 Due to its remoteness, however, it’s easy to forgo the park’s desolate mountains, volcanic hills, and winding canyons in favor of more accessible wilderness destinations. But if you’re only able to get to Anza-Borrego once—or to any desert park, for that matter—make the trip for wildflowers. Whether you’re dreaming of seeing petals in the Mojave, the Sonoran, the Chihuahuan, or any other desert region, here’s what you need to know about the elusive super bloom. What Causes a Super Bloom? You can find wildflowers in the desert pretty much any year, but a super bloom is something special. The difference between the usual sprinkling of flowers and a super bloom is in the name. This rare event occurs when the desert trades its usual roadside blossoms for fields and valleys of flowers. Super blooms are the result of a delicate balance of sun, temperature, wind, and water. The process begins in the winter when rain occurs in bursts (a half inch or more at a time is ideal) over the course of several months. This water strips seeds of their protective coating and nurtures them. In addition to those crucial desert showers, seeds need warm days, cool nights, and low wind levels. Too little rain starves wildflowers while too much drowns them. The same goes for temperature. 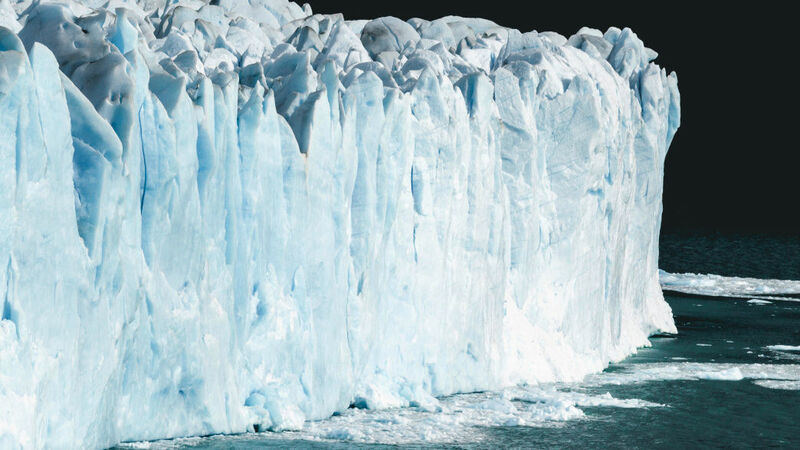 If nights are frigid or days are sweltering, fragile seeds are killed. And if winds are too strong—a common occurrence in the desert—pollen is scattered before seeds are even produced. In other words, a super bloom occurs when the harshest elements of the desert get the timing right. The result is nothing short of a miracle. In 2016 in Death Valley National Park, a large amount of rainfall in October coupled with a warm spring created the best super bloom the park had seen since 2005. The current super bloom in Anza-Borrego is the biggest since 1999. Some blooms, like the aforementioned 2005 event in Death Valley, are massive enough to be considered 100 year blooms (Translation: super super bloom). Generally speaking, however, you can expect a super bloom to occur in your favorite desert park about once every decade or so. Don’t expect an epic super bloom or even just a particularly nice regular wildflower season to happen several years in a row. Super blooms exhaust floral seed reserves, making two remarkable blooms in a row next to impossible. How Can You Catch the Next One? 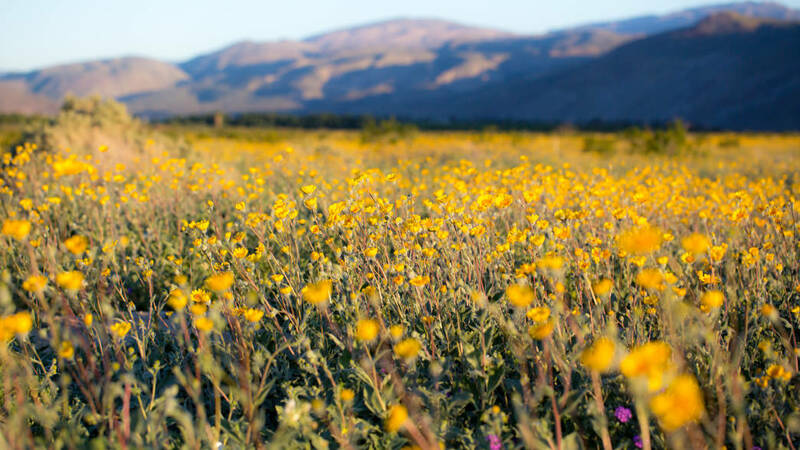 If you can’t make it to Anza-Borrego in time to catch this year’s super bloom (which will be gone within a few weeks), rest assured that you can still experience one at some point. Past and future locations of super blooms and not-quite-but-almost super blooms include California’s Death Valley National Park, Joshua Tree National Park, and Mojave Preserve. In Arizona, keep an eye on the Superstition Mountains east of Phoenix as well as Saguaro National Park. In Nevada, you can often spot spring flowers at Valley of Fire State Park and Lake Mead National Recreation Area. Other potential desert wildflower blooms can take place around Texas’s Big Bend National Park and Las Cruces, New Mexico. 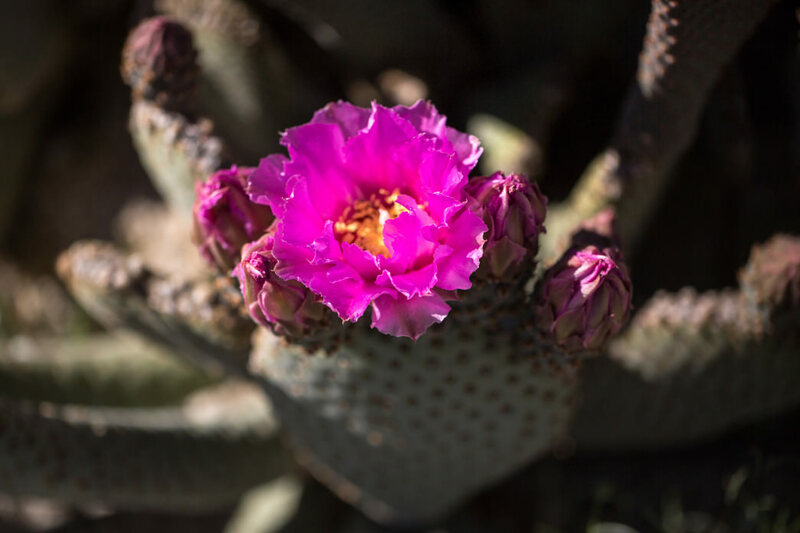 If constantly monitoring the desert for potential super blooms isn’t your thing but you’d still like to see one, consider signing up for Anza-Borrego’s postcard notification system, which allows you to be notified of upcoming super blooms in the park via snail mail. 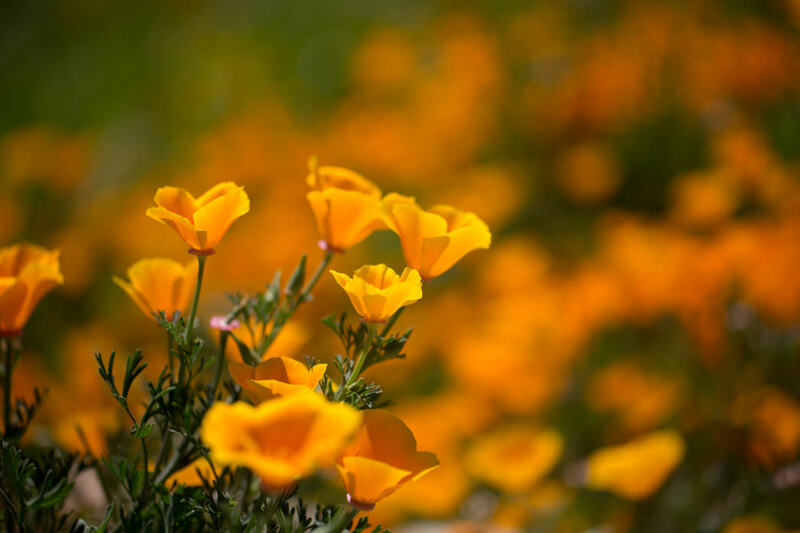 Be aware that even if you do miss a super bloom at its peak, flowers at higher elevations as well as cactus blossoms tend to show up later in the spring, so there may still be time. Crowds. Unfortunately, you weren’t the only person who saw all of those gorgeous shots of flowers on Instagram. Get to the park as soon as it opens to avoid waiting in a long line and to ensure that you’ll be able to find parking. Heat. Super blooms happen in mid to late spring, which is practically summer in the desert. 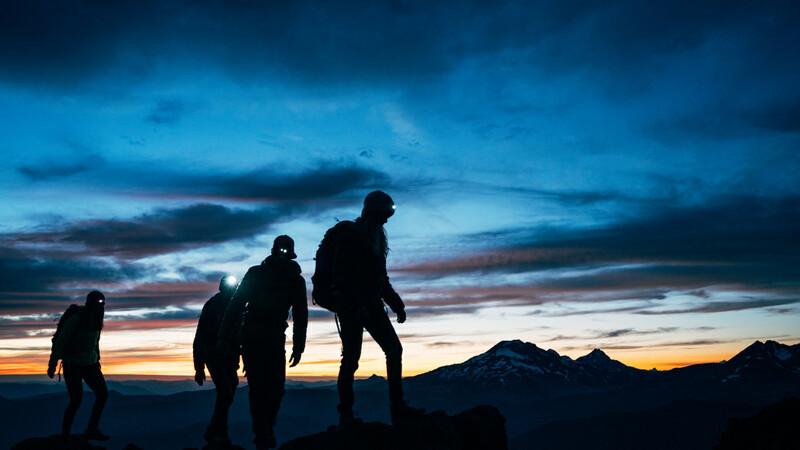 Be prepared for soaring temperatures and minimal shade by packing ample water, salty snacks, and sunscreen. Research. Know where the flowers are before you head out. 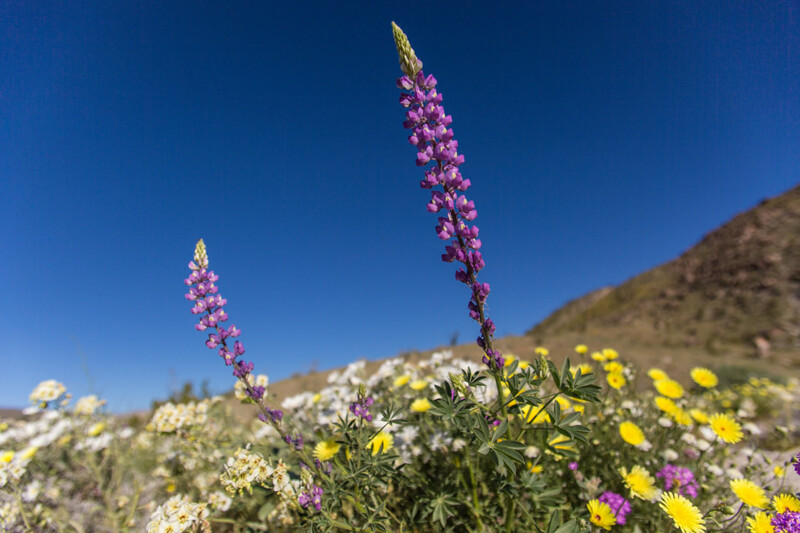 Check online or call before you drive over (Anza-Borrego has an actual wildflower hotline) so that you know exactly which trail to choose for optimal wildflower viewing. No matter when you catch the wildflowers, the most important tip of all is to respect them (that means no picking those desert dandelions, no matter how pretty they look) and enjoy yourself. Take the time to hike into a canyon, to look for wildlife, and to literally stop and smell the roses. You might only experience one desert super bloom in your lifetime, but if you do it right, once is enough.